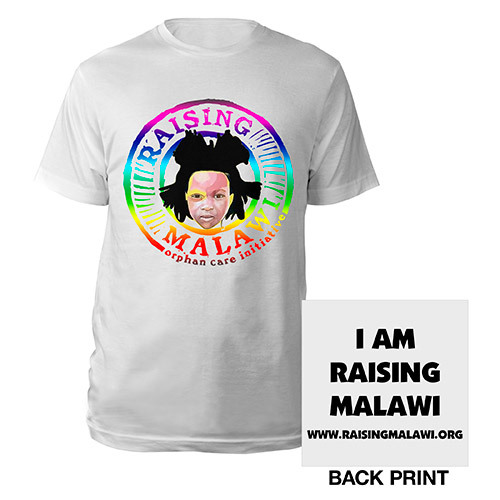 Rainbow Raising Malawi logo inspired by the art of Rene Makela printed on the front of this white 100% cotton charity tee. I Am Raising Malawi printed on the back. 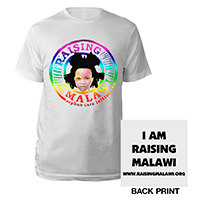 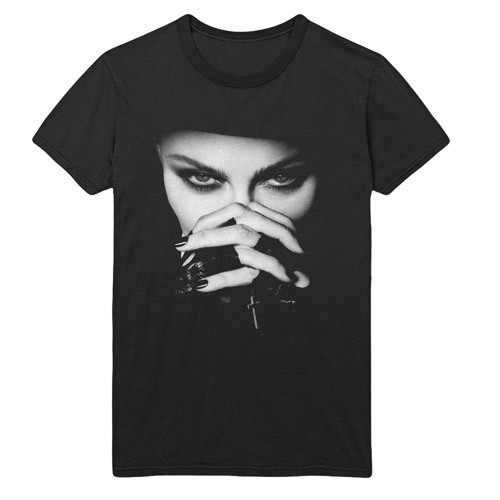 Net proceeds will be donated to the Mercy James Centre in Malawi.